What is Andropause and can it be Stopped? Testosterone levels decline with age, beginning when a man is in his thirties. By the age of 80, it is only 1/5 of what it was in youth. In addition to aging, stress can also play a role in declining testosterone levels. 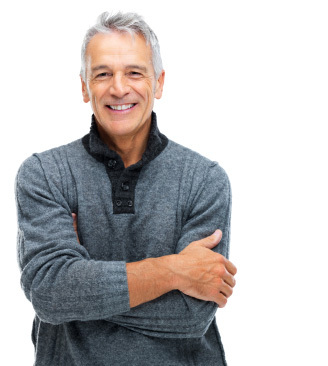 While the total testosterone does not drop drastically, the free testosterone, which is the biologically active form, does decrease significantly with age. Increased estrogen levels (due to obesity, a high-fat diet, alcohol consumption, and low levels of serum zinc) and insulin resistance in men can further reduce free testosterone levels. The most efficient treatment for andropause is bio-identical hormone replacement therapy. Bio-identical hormones are perfect molecular matches for those found in the human body and do not present the same risks as the synthetic or animal-derived variants. Before bio-identical hormone replacement is prescribed, a battery of tests is conducted to assess deficiencies and design a customized formulation that delivers the missing androgen compounds in the precise quantities needed. 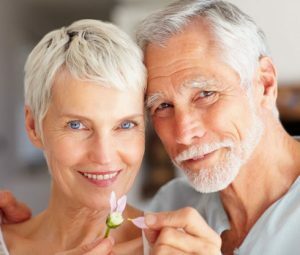 Through this process of individual customization, side-effects of hormone replacement such as aggression and mood swings can be avoided, returning the patient to a more important state of being. The changes experienced following a hormone replacement regimen can be very pronounced. When a man’s body chemistry is returned to a more youthful state, many aspects of performance and health improve to similarly youthful levels. Dramatic increases in energy, libido, strength, and focus are obvious advantages of treatment.